If you are a Web Designer and are looking to improve your Web Design Workflow when designing and developing a new website, then you may wish to check out ServerPress.com’s Desktop Server. ServerPress.com’s Desktop Server product will provide you with an Offline Local Host. A Local Host is basically an Offline Server that is installed directly on your computer. I recently used Escrow.com to purchase a Domain Name and am glad to report that Escrow.com helped Secure this domain name purchase and transfer on my behalf. 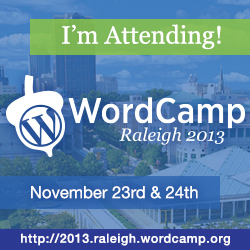 I will be attending WordCamp Raleigh 2013 this weekend. 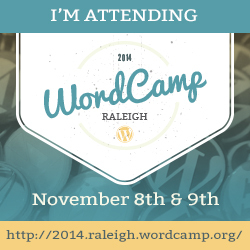 WordCamp Raleigh is the Annual WordPress Conference that is fortunately held in Raleigh, NC each year to cover all things WordPress. Due to the recent flurry of media attention pinpointing privacy concerns within Google’s ever popular e-mail solution, Gmail, I decided to conduct research to see if there were other e-mail solutions that perhaps might offer improved privacy.